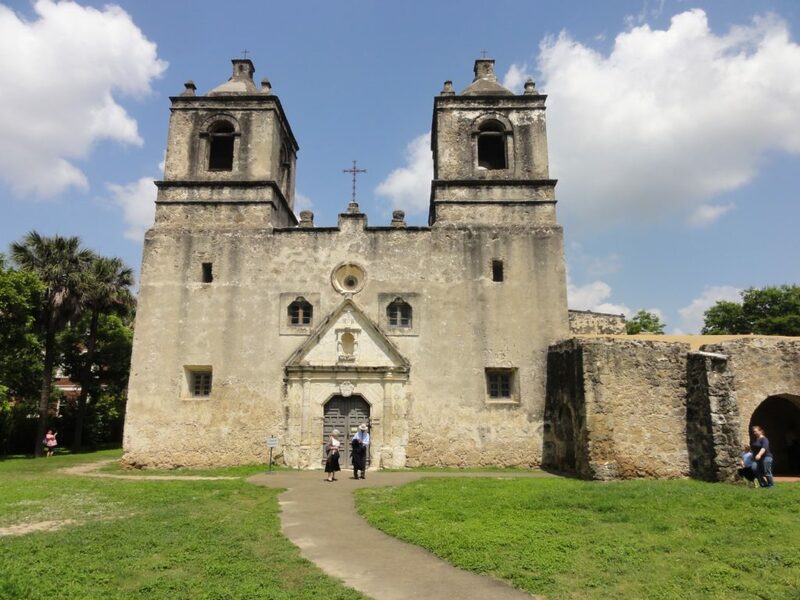 Everyone has heard about the Alamo, but fewer know that it is only one of five extent Spanish colonial-era missions in San Antonio, Texas. There is a chain of them that lines the San Antonio River, and it is possible to visit all of them in a day. The four non-Alamo ones are run by the National Park Service and the whole thing has been designated a UNESCO World Heritage Site. What is a “mission”? Essentially, a fortified, self-supporting community run by Franciscan friars, to convert natives to Catholicism, to teach them skills like agriculture, weaving, or metalworking, and to make them loyal subjects of the Spanish crown. 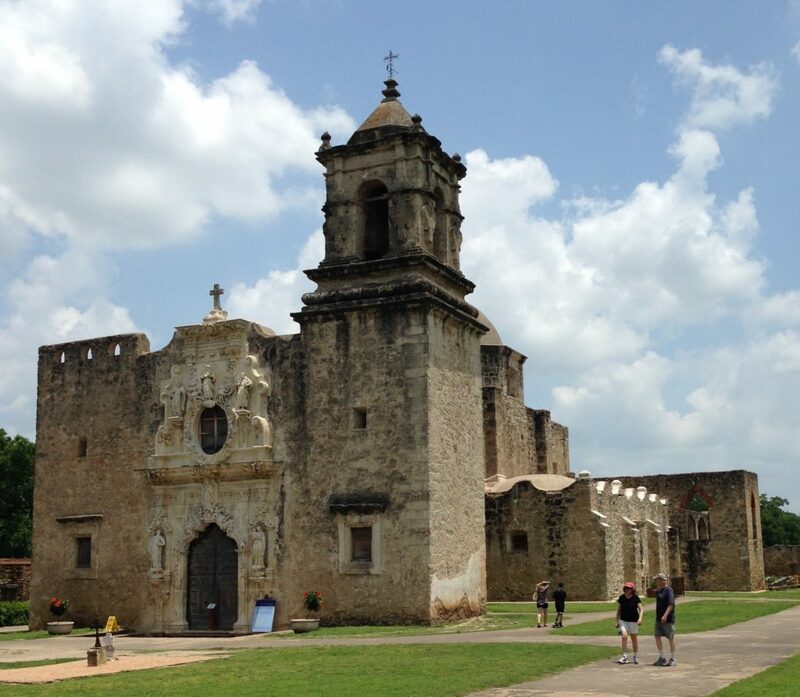 (The San Antonio missions also served as a bulwark against French encroachment from the east.) But why would any Indians go in for this? The local Coahuitecan Indians, unfortunately, suffered greatly from European disease and Comanche raids; the missions and the new way of life that they offered promised a modicum of stability. They were not intended to be permanent: once the natives were judged to be mature enough in their religion and politics, the missions were to be “secularized” – they lost their special status, their lands were privatized among their inhabitants, and all religious activities were transferred from the Franciscans to the local diocese. This process largely came to pass by 1785. 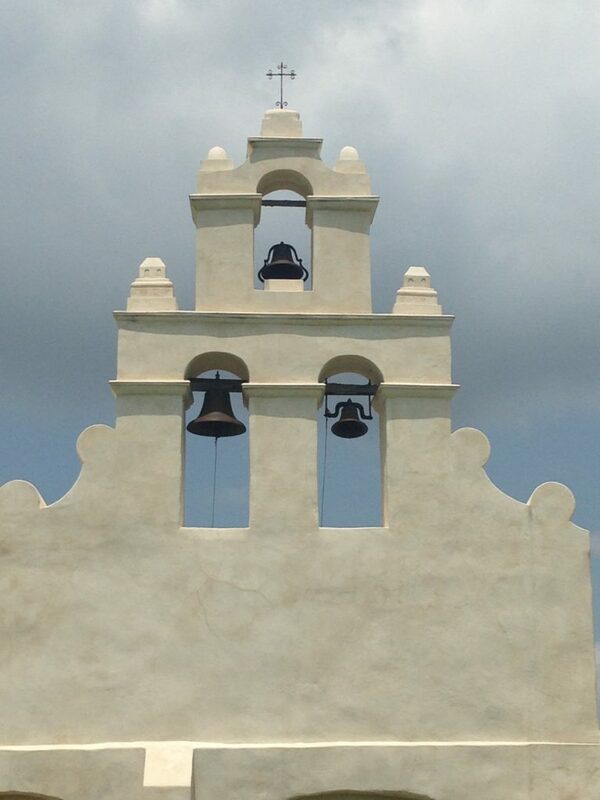 Mission San Francisco de la Espada. 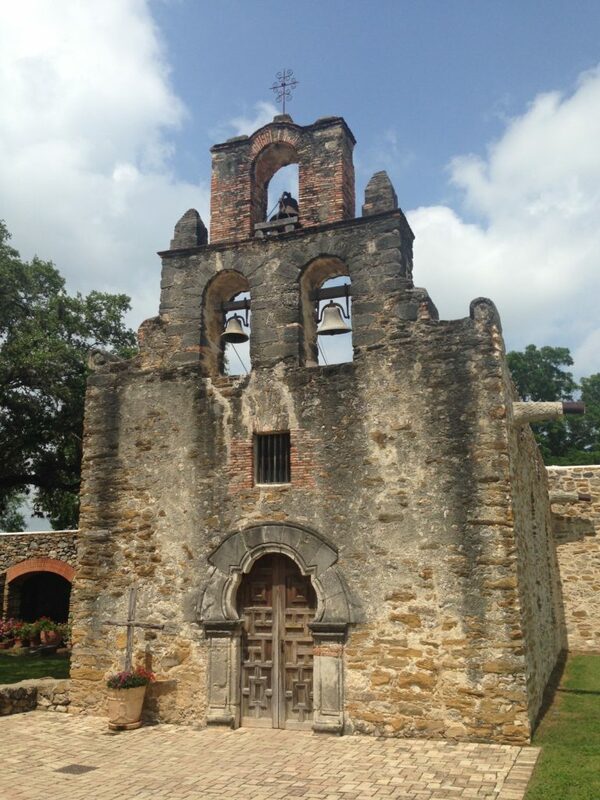 Mission San José y San Miguel de Aguayo. This seems to have been the biggest and most important of the missions. The main visitor center for the entire park is here. 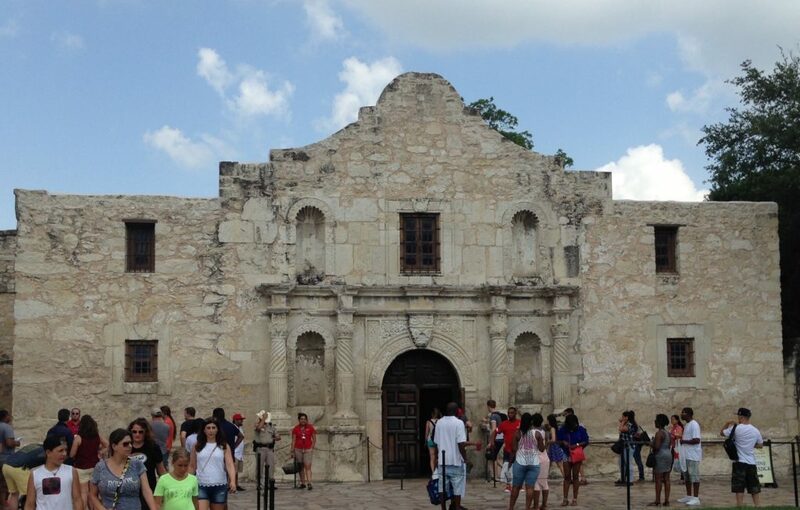 The Alamo (Spanish for “Cottonwood”) itself was originally the Misión San Antonio de Valero, but you will not find much reference inside to its former status. It is not run by the National Parks Service, but by the Texas General Land Office, and is claimed to be the “Shrine of Texas Liberty.” That is, on March 6, 1836, after a thirteen-day siege, Mexican General Antonio López de Santa Anna launched an assault on the Texas revolutionaries who had taken shelter in the mission chapel, and killed every one (this was a common fate for those who had resisted a siege). But the Texans never surrendered, nor did they seek to retreat, and so the Alamo became an inspiring defeat, like the Battle of Thermopylae. I was unprepared for just how much of a tourist attraction it was: it was packed, and there was a Ripley’s Believe It or Not!® attraction across the street. I had no idea that Phil Collins was a fan of the Battle of the Alamo. For an epic poem about it, enjoy The Texiad, by Reinhardt’s own Wayne Glowka. This entry was posted in Latin America, Travels by jgood. Bookmark the permalink.